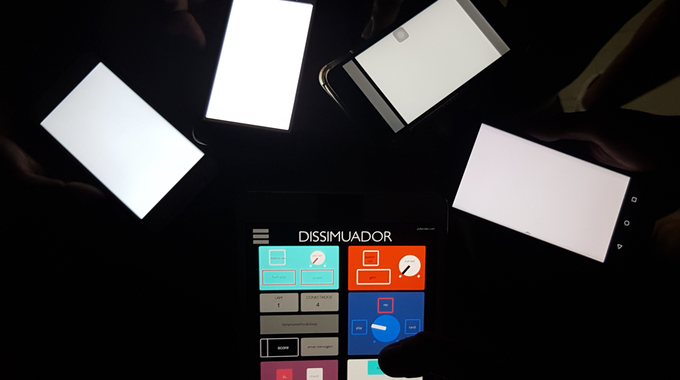 Dissimulation is a participative audiovisual intervention platform for mobile phones. The work explores the expressive potentialities of technical resources embedded in the devices that imply participants in a covert operation. 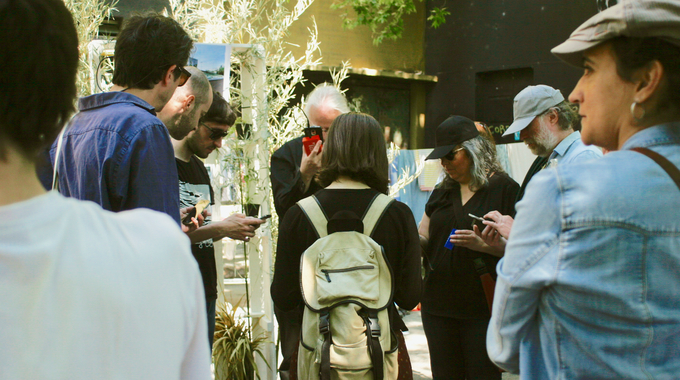 The result is the introduction of a participatory, dynamic, diffuse, portable and dissimulated electro-acoustic environment capable of articulating several participants / mobiles in different situations. 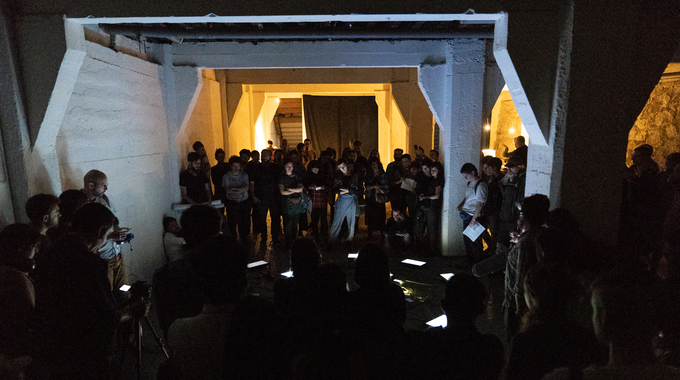 Dissimulation was presented in different contexts, such as: concerts of electroacoustic music and mixed music; intervention in public spaces such as subway, square and street; or in private spaces such as café, vernissage and auditorium. Exhibition Alteridades de lo invisible - Festival Tsonami - Valparaíso - Dez. 2018. 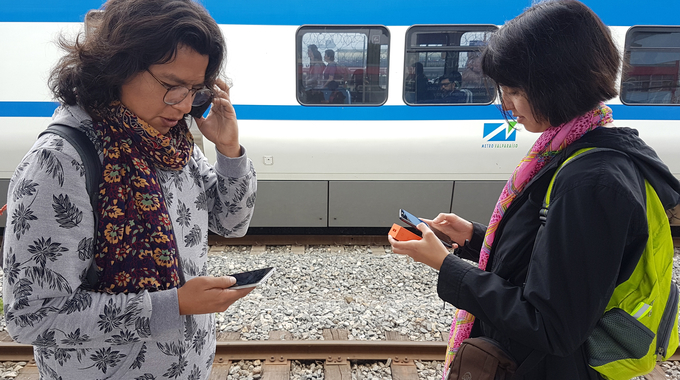 Public Intervencion - Metro - Festival de Arte Sonoro TSONAMI - Valparaíso - Dez 2018.